As you probably read in my previous Santorini blogpost, I am completely in love with this island. My family and I travel to Greece every summer and it has become a holiday tradition for us to make a pit stop in Santorini each year. This year we decided to switch it up and stay at Cavo Tagoo, newly opened in July 2016. I love the property they own in Mykonos and knew this new location in Santorini would not disappoint. Every moment from our arrival to departure was perfect. The suites are spacious, and each one is accompanied by a mini pool or a jacuzzi on a large outdoor large terrace. The staff is very accommodating, they will help you book dinner reservations, arrange day boat rentals and even call holistic masseuses to come give you a massage in your private suite. One of the things I really enjoyed about Cavo Tagoo was the location. Usually we stay in Oia, so this was a nice chance to explore new location and check out different restaurants! 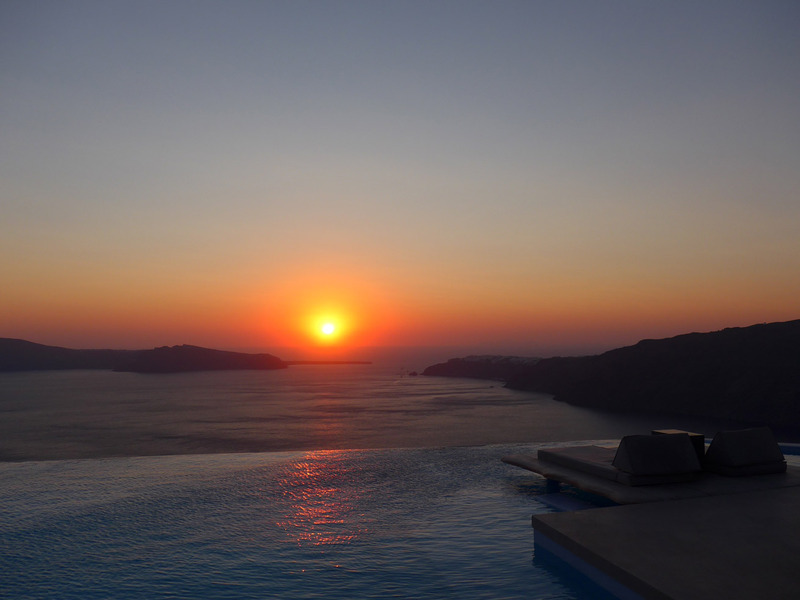 The hotel was located in Imerovigli and a short 10 minute drive from Fira. On each side of the hotel there were paths that were perfect for hiking. Each morning I would either run up to the church located on the right side of the hotel, or a long hike to Fira following the path on the left side. Ovac at Cavo Tagoo offers a beautiful view of the caldera and the sparkling azure of the Aegean Sea as you enjoy exceptional dishes. The restaurant offers breakfast as well as a great variety of light bites such as sushi, sashimi, ceviches, crab tacos, salads, and more. I loved the crab tacos so much I ordered them almost every day! A hidden gem in Fira, run by its owner Constantinos Chatzopoulos. This became our favorite restaurant on the island and we went there two nights in a row. The view is spectacular, one of the most beautiful sunsets I have ever seen. The staff is extremely friendly and everything on the menu is SOOO GOOD! 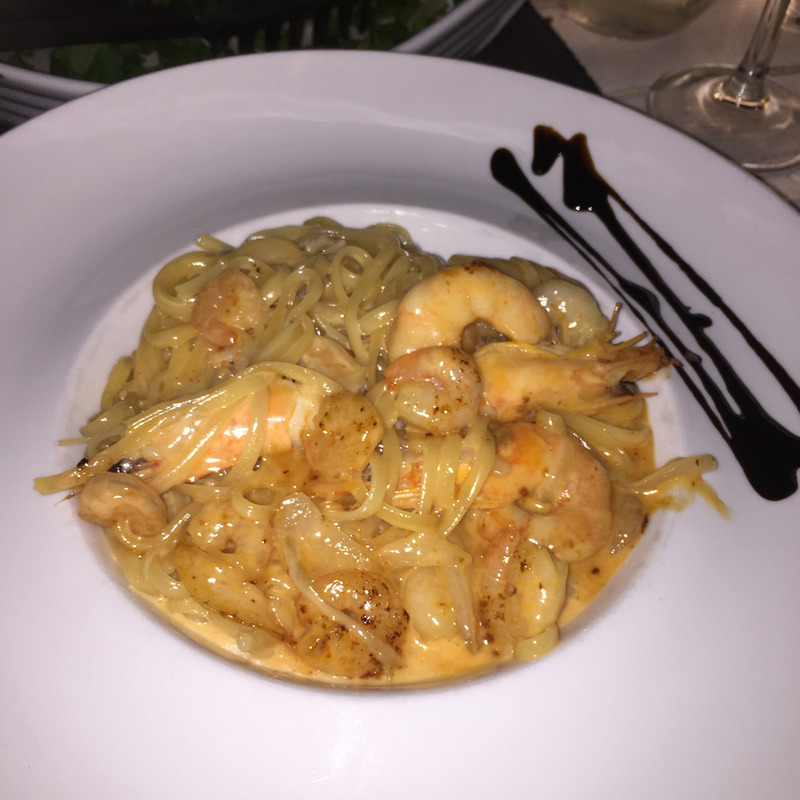 My top 3 picks for you are the shrimp saganaki, the vegetarian moussaka with the wonderful combination of vegetables that gives a vegetarian dimension to this classic Greek recipe, and their specialty pasta with honey and shrimps! It tastes INSANE, I have seriously never tasted something so rich and flavorful. Truly amazing place to dine out with your loved ones. 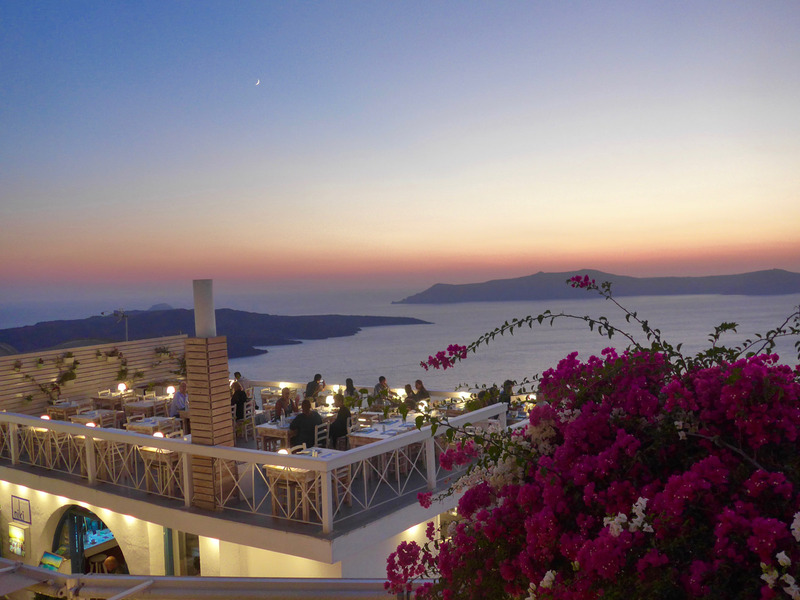 Floga is located in Oia, and it has one of the biggest terraces from which you can enjoy the breathtaking view over dinner. Floga rests on the edge of a cliff that drops down 800 sheer feet to the Mediterranean. It feels like being in a restaurant that floats above the clouds. The Santorini salad and Floga salad are both excellent choices. The slowly cooked baby goat entree served with baked potatoes aromatized with garlic is a must try! If you are in Perivolos and are after gourmet seafood cuisine, this is your ideal choice. Think laid-back lounge, elegance, jazz, and food styling straight out of the trendiest magazines, whether it’s a glass with layers of marinated tuna and guacamole, or a pitch-black cuttlefish ink risotto with gold leaves, served in porcelain and wax paper. A very cute tavern located in Exo Gonia, about 20 minute drive from Cavo Tagoo. You can taste local island cuisine with fava beans and white eggplant in the oven, authentic Santorini salad using seasonal products fresh from the island, and a main course of boneless pork chops with orange sauce. 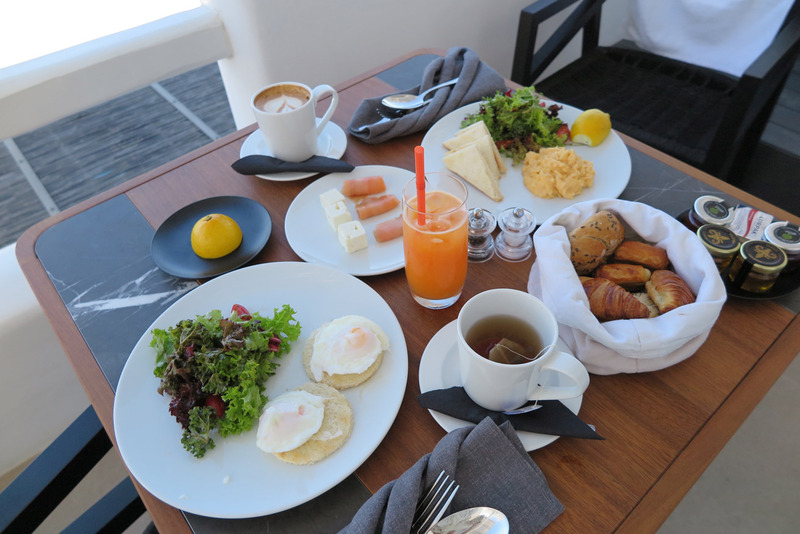 For more hotel and restaurant recommendations, check out my previous Santorini blog post here.